Scoliosis is one of the most common deformities of the spinal column. 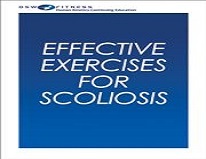 Effective Exercises for Scoliosis CPD Course helps you work with clients or patients with scoliosis to offer exercises to safely alleviate the pain and stiffness associated with the condition and improve conditioning and muscular weakness. This course explains the benefits of exercise and identifies risk factors that can worsen the condition. Gain a comprehensive understanding of scoliosis and learn how to design an appropriate exercise program for your clients with scoliosis. The course concludes with a continuing education exam for credit through participating organizations. Discuss the three big myths about scoliosis and exercise. Explain the five main benefits of scoliosis and exercise. Teach the most effective yoga poses for scoliosis. Understand six components of an exercise program for scoliosis. Educate your clients on the tips and tricks to modify posture and body mechanics to decrease back pain from scoliosis. 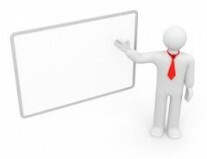 Identify the six risk factors that will worsen your clients’ scoliosis. Outline four common areas of the scoliosis curves. Learn the seven types of scoliosis and which one your client has. Differentiate the five most common symptoms of scoliosis. Understand what health complications can arise from scoliosis. Explain how a quick scoliosis assessment of a teenager can help with his or her quality of life in later years. Understand how, after a positive scoliosis screen, tools are used to diagnose scoliosis. Describe the three Os of medical treatment and management options for scoliosis. Understand the most common scoliosis braces. Explain the leading theory on what causes scoliosis. Section 1. Introduction: What Is Scoliosis? Section 10. Scoliosis and Exercise.